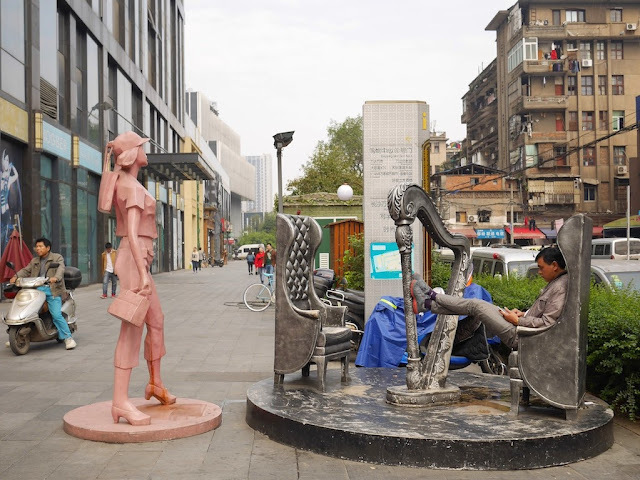 Earlier this year at pedestrian street in Changsha I considered "the competing interests between those who wish to use a suitable sculpture for an extended period of time as a place to sit with others who desire to use it more fleetingly for photos". 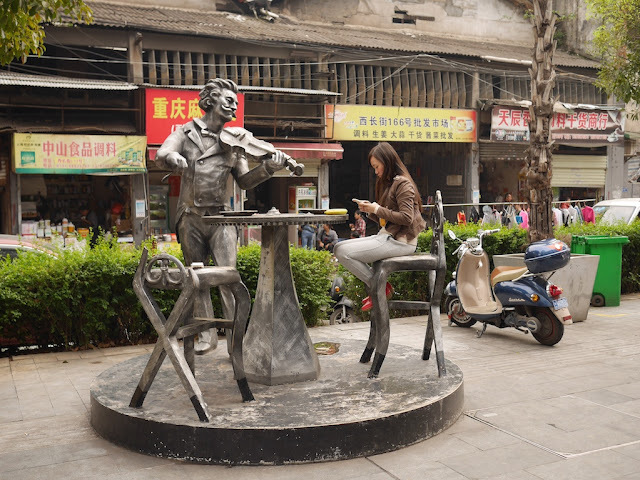 When I stopped by a shopping center during a recent day in Changsha, I saw people using two previously-noticed sculptures with stringless string instruments for the former purpose. In both cases, not only was someone taking advantage of a place to sit but their attention was focused on a mobile phone – a theme for some future posts about Changsha.